I have used this laptop in span of 10 months it is getting rusted and one more surprise thing is cockroach can enter into the product, which itself shows the product is not safe. 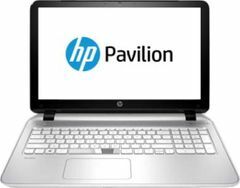 So, I suggest not to take HP laptop especially HP Pavillion 15-p018tu. Because even the customer support is too bad that they say directly it won't comes under warranty. Even they won't answer for question which you ask. Better to take other company.